Lord of the Rings fans were elated when Middle-earth: Shadow of War was announced last March, as this is a sequel to the widely acclaimed Shadow of Mordor. And the 2014 game sure was a gem, featuring cool third-person action gameplay and a pretty good story set in the Lord of the Rings Universe. 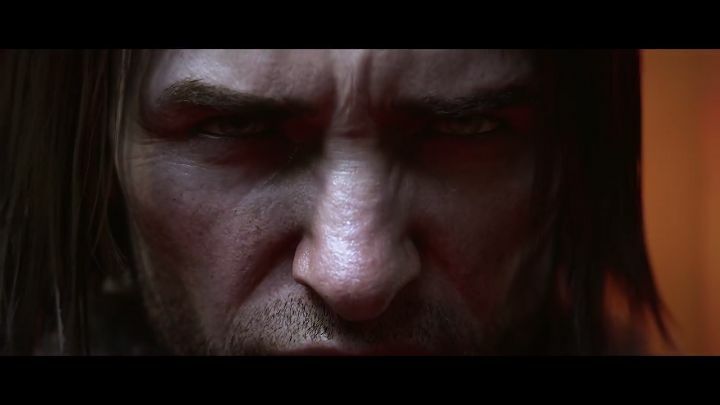 Shadow of Mordor did have its faults though, namely the repetitive combat, and the fact that protagonist Talion would tend to become overpowered by the end, but it was a cracking good game all the same. So it’s logical that interest is sky-high for its upcoming sequel Middle-earth: Shadow of War, which will be released on August 22 this year. And like other high-profile games coming in 2017, the game will have a collector’s edition. This comes with quite a few extras that will surely please Lord of the Rings and video game fans. This edition of the game (known as Middle-earth: Shadow of War Mithril Edition) is priced at $299.99, and includes all the content featured in the game’s Gold Edition (which is priced at $99.99). This means buyers will get an exclusive steelcase housing the game’s Blu-ray disc, as well as the four planned expansions for the game which will become available post-release. These include two story expansions (The Blade of Galadriel and The Desolation of Mordor), which feature a new campaign and playable character, as well as new enemies and side quests. There’s also the two nemesis expansions (Slaughter Tribe and Outlaw Tribe) which introduce a new orc tribe each, meaning players will have to deal with new enemies, but will also have new followers at their disposal in the game, amongst other things. Additionally, there’s an in-game Mithril War Chest, which likely will come in handy to store any weapons and trinkets you come across when adventuring in Middle-earth: Shadow of War’s world. The Mithril Edition also includes a Premium Case with a metallic version of the Ring of Power (which is also magnetic to boot). And those who are into video game soundtracks will appreciate the fact that this edition of the game comes with Middle-earth: Shadow of War’s music on a CD. Plus those who want to enjoy more of the game’s art will be happy to know that there’s a cloth map of Mordor and several exclusive lithographs included in this edition’s massive box too. 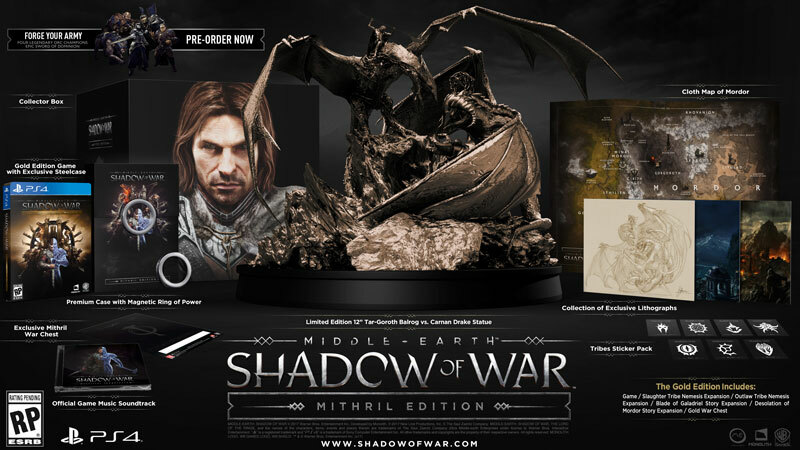 Actually, this will be quite a big box of goodies as the Mithril Edition also comes with a one foot tall statue. This PVC statue shows a Tar-Goroth Balrog fighting a Carnan Drake, creatures those familiar with Tolkien’s mythology will surely know about. This edition of the game also includes a pack of stickers featuring the insignia of each of the orc tribes you will get a chance to fight in the game. Regarding availability, the Middle-earth: Shadow of War Mithril Edition will be sold exclusively on GameStop in the US. And like other exclusive collector’s editions of video games, it will only be available in limited quantities. What’s clear, though, is that whatever edition of the game players end up going for, Middle-earth: Shadow of War is still looking like it could end up being one of this year’s top video game releases when it hits shelves this summer, and surely is one game to watch out for this year.